PLEASE READ: Thank you for taking a look at my book idea. I am doing things quite non-traditionally. I am asking for your help, taking pre-orders, doing the crowd funding thing … proving there is interest in the book BEFORE writing it completely. While writing the book, I will share with those who have pre-ordered rough copies of the chapters – you can offer feedback – tell us more about this, your too long-winded about that, and lets discuss this point here. I have done a LOT of work to get ready. Sanjo City has a horse race track. I could see thoroughbreds running when I crossed over a nearby bridge spanning the Shinano River, Japan’s longest. “The horses are going the wrong way!” I said to my wife. Older son, Benjamin, was born on the Yokosuka Naval Base. Micah was born in a Japanese hospital. There was no Japanese equivalent for Lamaze before I introduced the idea to the hospital where my second son would be born. Now Lamaze class is quite popular throughout the prefecture (state). The first white guy in Niigata, I introduced many firsts to the area. My wife was a walking dictionary. Her father was a taxi driver who was yanked out of school to work in a factory to help build Japan’s WWII machine. Her mother was a witch and the ultimate undoing of our marriage. I worked in Naval Intelligence. My father was a depression era teenager and served in the South Pacific to fight back Japan. My mother was an alcoholic who’s new husband spent time in jail for murder after being shot out of the sky during the Korean war. We decided to blend these two families. Chapter 3 – Going boldly into Japanese culture. Within my first year I attended the funeral (picking human bones with chopsticks) of my father-in-law who died from Lou Gehrig’s disease. We bought a house. I rescued a young college girl who’s car rolled over into a road ditch. My mother-in-law asked for me to give her my second born to carry on the family name. Daily shopping in Japan takes on a new twist when random old ladies would rub my boys’ heads. There are definitive nuances in the Japanese language that are only learned through experience. “We are glad he is finally dead and we are glad he is finally dead” have completely different meanings depending on which words you use. Japanese words really mean different things than what the dictionary say – daisuki, ogamu. Chapter 5 – When Japan Needed Me. Getting the Japanese version of a green card required me convincing the Japanese government that they would be worse off without me than with me. I launched a business and began to hire Japanese as employees and to teach 1000s of students weekly. “We, Japanese” vs “You, Gaijin.” Learning to never compare to others, but only compare to myself yesterday. At one point all four family members had a different status for being in Japan. My kids could barely toddle, yet my wife wanted to ship them off to a local kindergarten at age 3. I balked. I lost. For the next 6 years I drove back and forth across the city daily AND paid more for my kids to attend preschool and kindergarten than it cost me and my wife together to go to college. The boys finally began to interact regularly with other Japanese kids their own age. We experimented with so many different educational options on my 7-year old that I was invited by the national Japanese Association of Language Teachers to give a lecture and write about what does NOT work. My wife and I had to settle on a strategy we would implement to raise our kids biculturally … then wait for 25 years or more to see if it worked. My children were referred to by their teachers and their peers as only half of all those around them. But, I saw things differently. My kids did, too. And now, so does Japan. A new term was introduced into mainstream Japan culture that is still used. America could be pretty mean as well. Of course it’s not PC to refer to kids as ‘retarded’ now. Hearing that word used on my own kid then wasn’t much to be pleased about either. Micah’s first venture into a US school had him placed in the slow class to non-moving class. The transition to US schools was much harder on the kids than we anticipated or they could articulate. Both boys experienced life in Russia when that country was still the heart of the Soviet Union. At one point, the older boy was seen sitting on the living room floor surrounded by 6 – 8 students from our state’s best university. Benjamin very deliberately and articulately explained the differences, from his perspective, between Russia, Japan and the US. Then his 4-year old brother took a turn. At another point, I was being whisked away by Boris and Natasha to meet a witch in the middle of the night. The Japanese flag is not the only remnant of WWII that didn’t change. Local school sponsored sports festivals ruled. Jukus called out to us to keep up with, or for our kids to keep up with the Tanakas. Kumon mastered the art of rote memory. Moms competed for best bento on a daily basis. My one and only unbendable rule … broke. I kicked a hole in the door. Benjamin kicked a hole in the wall. Our experiment in blending cultures wasn’t working. The Japanese who survived to rebuild Japan after WWII pledged to raise kids that wouldn’t have to face the same trials they had to. Unfortunately, they succeeded in large part. The children learned early on what entitlement meant. And the feeling only grew stronger. Chapter 13 – Renaissance Man Settles on the Piano … for Now. Benjamin found his ‘thing’ in Ohio, but only when he realized his younger brother was not in his element. Benjamin only briefly looked back until a Japanese punk rock band helped him find his focus again. Benjamin also got his first exposure to the gay world with his piano teacher in Japan. Micah became a swimmer, then a baseball player, then a soccer player before he settled on the pool. It was in the water where he found the discipline required to later become a published scientist. But only after he became a national swimming champion in the US and in Japan. Borrowing from the Japanese idea of taking kids on a long walk, 10 – 30 km to learn what kind of character a younger person has and the Japanese government’s goal of internationalization, the company I founded in Japan launched a 10-year drive that would change the lives of 1000s in other countries and the lives of the participants … including Benjamin and Micah. Back in America is where we learned our boys’ mettle. Do my children have talent? Are they geniuses? Or are they simply required to outwork their contemporaries? It was late middle school that we began to find the answer. A bigger question was which of these could I as a parent give to my boys? Too often parents require more from their children than they require of themselves. What we dislike in our kids are the qualities in them that they learned from us … that we don’t like about ourselves. The best way to teach kids is to show them … to inspire them to ‘be like Mom or Dad.’ What did it take to become an “Outstanding Person of Sanjo”, to master the untranslatable riches of the Japanese language, to endure ridicule because of what I had wrapped around my ring finger? How could their mother and I demonstrate for our boys the mindset we hoped they would adopt? The boys settled into high school in the US. “I felt like I was naked, completely exposed,” said Benjamin after he performed for the band director at his American high school. Micah came from the airport to the pool to compete in his first US-side swim competition … which he won … but a parent tried to take away on a technicality … but couldn’t. The three boys ended up in America for good. Mom never joined us again. If you can’t do it, whatever ‘it’ is in America, chances are you can’t do it. At the most critical times in my boys lives, the ‘system’ in America let us down … or did it? The guidance counselor at the high school left Benjamin wanting in his application for musical school. Micah’s coaches were there for him … except when they weren’t and were really needed the most. It was at this time the boys found in themselves the character needed to go their own way. I raised them to think for themselves. Problem is, sometimes I don’t like what they think now. Japan is not the US is not Japan and neither of them are Kansas. Brainstorming with just one brain I can come up with 100+ differences between the two cultures … many of them of no consequence … unless you are a child and have to pick one over the other or somehow mesh the two. The less said the more understood the better. Individuality is not always a strength and many more differences to explain. Having watched these two boys grow up and become men fully able to function in each of two opposing cultures I find myself reflecting on what it took to motivate them. Passion, Resolve, Hunger, Blind Faith, and Mission are the key words that come to mind. How are they distinguished in daily life is the heart of this chapter. A cheating mother and a astronaut have insights on what it took for me to raise my kids and blend in them two cultures resulting in them becoming fully bicultural. Oh and men can raise kids, too. As of 2016 there are an estimated 4.5 million mommy bloggers who have at least 1 child under 18 at home. They are on average 37-years old and have a household income of over $80,000 and they ACTIVELY look for and write about parenting insights. Bill Belew was professor of English in Japan and the Soviet Union for nearly 20 years. He authored five textbooks: Living English vols 1 & 2, Let’s Communicate vols 1 & 2 and The Key. These books sold several 1,000 copies yearly for over a decade in Japan. Bill launched a language school for more than 1000 students taught weekly (now more than 30 years old) that expanded to two of Japan’s main islands, into Far East Russia and finally into Silicon Valley. Bill has been an invited presenter as part of the Talks@Google series at Google HQ in Mountain View. CA on the topic of multiculturalism. Bill has spoken to national audiences in Japan and China on bi-cultural education issues when raising children. More than 20 years ago his writings in Japan introduced a new term that has infiltrated mainstream Japanese culture to describe how children of two cultures view themselves and want others to see them. Bill’s online social network of followers and readers is well over 150,000. 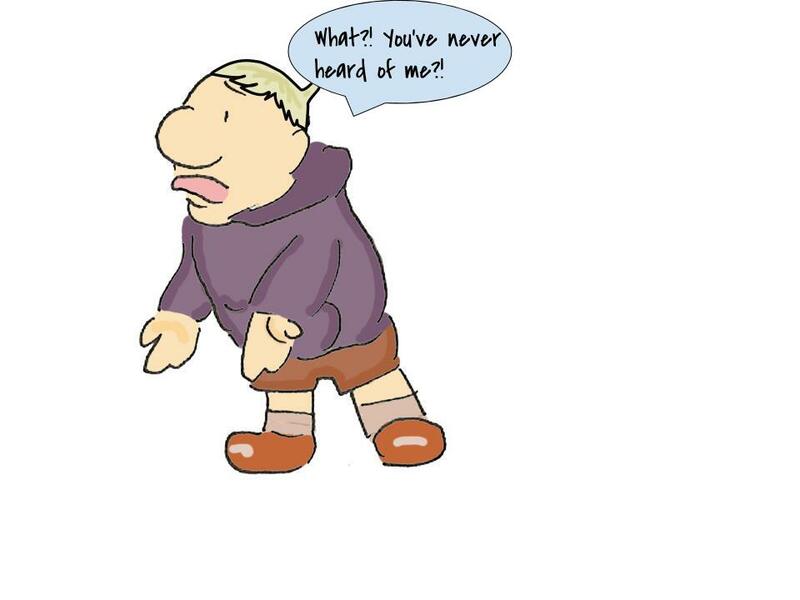 I have a personal blog – www.billbelew.com with well over 100,000 200,000 visits and 250,000 500,000 pages viewed. My daughter (9-years old) and I share this blog – www.miamei.com with over 20,000 23,000 visits and 75,000 80,000 pages viewed. I have a personal email list of abt 7,000 people. I own a private forum with 3750 members who are bloggers, parents and marketers. I will conduct a regular email and social media marketing campaign to reach these groups. I have nearly 5,000 LinkedIn connections. Millions of children could use a Tiger mother in their tank. 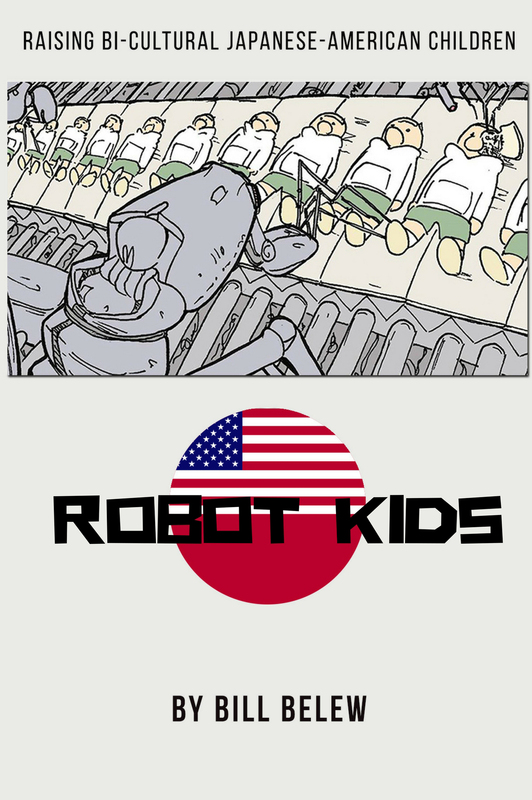 I plan to explore what happens in children when they are raised with a combination of the Japanese work ethic and American creativity by a Japanese-mother and an American father. The Japanese can be very mean … without even trying. The Japanese can also be very kind … when they overtry. Early in the school year, my two boys came home from South Elementary School together when Benjamin, the older, was in the 4th grade and Micah, the younger, was in the 1st grade. Both were crying. Almost in unison, both blurted out, “Papa. Why do all of our friends call us ‘Half’. (haafu)? I was ready for them. I had long rehearsed in my mind what I would say if/when they came to me with this question. My, um, preparation might beg the question of why I didn’t talk to them BEFORE the incident so they could be ready in advance. I don’t know the answer. I am not a perfect dad. Far from it to be sure. Three, four 10 times or more per day! the Japanese will remind me that I am NOT one of them. At the time I had lived in Japan for nearly a decade and I was still being told, called out to, pointed out as a gaijin (outsider). Perhaps the Japanese thought I might forget that I wasn’t one of them. And they just wanted to remind me. Sanjo, where we lived was a town of 80,000-ish. You’d think that in 10 years I would have run into everybody at some point and wouldn’t need to be told that I am a foreigner. However, parents kept having kids, and new little ones were being let loose into mainstream Japan. Niigata was backwoods Japan. Sanjo even more so. When I first arrived, people would take drives in their cars just to see me or show me to their kids. I was the elephant in their in-car safari trip. Japan, being an island country, just doesn’t know how to deal with outsiders. The Japanese lack the experience of interacting with non-Japanese. And this social ineptness is on display when they call people names … Like gaijin and haafu. When I was little my five brothers and sisters learned a ditty, “Sticks and stones will break my bones, but names will never hurt us.” We learned early on to not care what people called us. Japan has mastered production. I love shopping in Japan. I only have to buy things once. I get what I want the first time. I NEVER have to take things back. When I relocated to the States after spending nearly 20 years in Japan, I was tempted to introduce a new word into the English vocabulary much the same way I introduced a word into the Japanese vocabulary. I wanted people in the US to say “Day Over” on the days they weren’t working. Because when you are not at work you have to do so many things over again. Take the car back to the repair shop, return the iron that you bought you Walmart. Seldom does anybody get things right the first time in the US. Everything has to be done over again. The consumer has become the quality control arm of production. “If you don’t like something, bring it back. If it doesn’t work, we’ll do it again.” No compensation for my lost time or effort. In Japan, things are always done right the first time. There is no ‘bring it back’ policy because you don’t have to bring anything back. Japan does quality right. I love Japan. I believe in the culture there is an inherent desire to do things well. There are so many people in such a small living area that efficiency is called for … and delivered. Refinement and non-waste are always the order of the day … and delivered. Japan is not perfect. But Japan wants to do things right … maybe even raise their kids right. After a lot of trial and error my wife and I determined for a lot of reasons that I will delve into in this book, that we wanted our children to go to Japanese elementary school. However, on this day, the tears could have been a deterrent. Instead they strengthened my resolve to keep the boys in their Japanese school. Silence. Then big big smiles. And away they went to play with a renewed image and bounds of self-confidence. A few days later I wrote up this exchange I had with my kids in a newsletter that I was editing that went out to a national group of language teachers in Japan … most of them raising bicultural kids. A couple of weeks after that my wife plopped down on the breakfast table in front of me an editorial from a national Japanese newspaper. The gist of the article was, “Maybe we should stop calling these kids haafu (half), and start calling them daburu – (double). From that point on, the word daburu (double) began to permeate Japanese culture. The new word and the new way of looking at these kids did not replace the old way. Some 25 years later, Japanese still call kids with one parent who is not Japanese – half. But not all Japanese do. Double has taken hold and some people prefer that term now. I wish I could say that it was my kids who launched a movement, who changed the culture, who affected a mindshift in the way Japanese people viewed bicultural kids. But that was not the case. My kids went back to school the next day with a new way to look at themselves. They didn’t think of themselves as better than their peers, nor did they think of themselves as less. They did, however, think of themselves as a blend of two cultures that in time would allow them to become more than what they may have thought before that day. Seeing my boys grow by blending the two cultures and becoming more of an individual than they might have with just one culture.